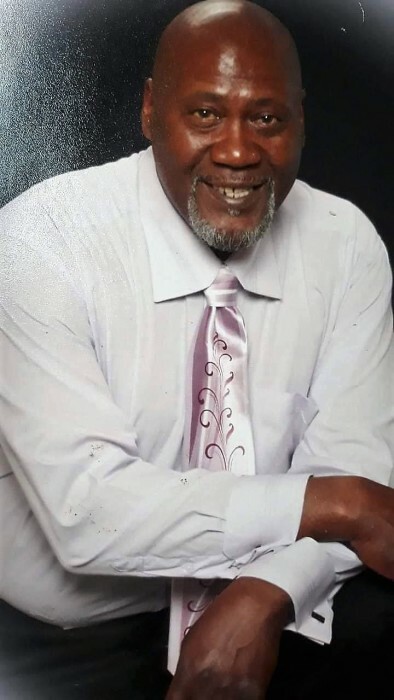 Maurice (“Mike”) Gene Plump, 67, made his transition from life on earth into eternity on Wednesday, February 13, 2019. Born on May 2, 1951, he was the first of ten children born to the late Ora Lee Plump-Ewing and the second child of four born to the late Martell Clark. Maurice and Debra became the proud parents of his oldest daughter, Maurica Plump-Williams. Maurice later met and married Maxine Plump. To their union his youngest daughter, Mauriah Plump was born. He later met and married Iris Stewart-Plump, with whom he would have celebrated eight years of marriage in June of 2019. The marriages of his daughters afforded him with two special sons-in-law whom he considered like his own, Lamont Williams Sr. and Dionte Calhoun. Maurice was educated through the South Bend Community School Corporation and attended Central High School. He worked at Stone Container in Elkhart, Indiana for over ten years while managing his own floor care business called “Plump's Dancing Hands”. He loved cooking, drawing, singing, going fishing, and spending time with family and friends. He loved all kinds of music, but his favorite music groups included The Rance Allen Group, The Temptations, and The Whispers. He also liked Bob Marley. Maurice accepted Christ at nine years of age. Maurice is reunited in the glory of eternity with his mother and father, sisters Charla Johnson and Anjanette Ewing, and a special niece, TaSeanda Rios. He leaves to cherish his wonderful memor his wife, Iris Plump; his two daughters, Maurica (Lamont) Williams and Mauriah (Dionte) Calhoun of South Bend, Indiana; four brothers, Reverend Dennis (Margaret) Plump of South Bend, Indiana, Freddie (LaQueta) Ewing of Logansport, Indiana, William (Diane) Ewing of South Bend, Indiana, and Ronnie (May) Ewing of Kokomo, Indiana; seven sisters, Cathy (Jim) Rogers, Pamela (Keith) Young, Patti Ann Ewing, Uronda (Robert) Ewing, Charlotte (Samuel) Brumfield, Debbie (Stephan) Morrow, and Carolyn Taylor, all of South Bend, Indiana and Barbara Ewing of Kokomo, Indiana; four grandchildren, Debra Williams, LaQuesha Williams, Lamont Williams Jr., and Kamdyn Calhoun; three great-grandchildren, La'Nyla Mann, Za'Ryia Mann, and Patrick Mann; three stepdaughters, Francina Jenkins, Rosemary Eason, and Latrica Highsmith; special friends, Duane and Diane McDonald of South Bend, Indiana and Minister James Bray of South Bend, Indiana; and a host of relatives. Maurice will truly be missed by all his family and close friends. From his wife Iris, “I will always love you, and you will always be in my heart. See you soon”.